Congratulations to Michael Redhill and publisher Penguin Random House! Although Redhill came out ahead by 5 points, Robinson was my first choice (by 2 points) and Kim and Alison’s second choice, so there was some discussion on how strongly I felt about Robinson’s book over Redhill’s. Well, I had such a hard time choosing between three of the books (all wonderful, but very different) that I was happy to see any of the three win. Therefore, we went with the original winner. Now we wait to see whether the Real Giller Prize jury agree with us. They will name their official winner on Monday, 20 November. For specific timings, please visit the official website. What do you think of our choice? 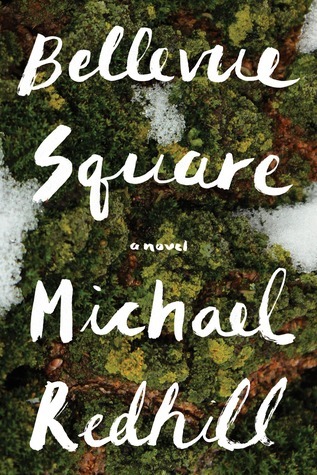 Have you read Bellevue Square, or do you plan to? This entry was posted on November 19, 2017 at 9:04 pm and is filed under 2017 Giller Prize. You can follow any responses to this entry through the RSS 2.0 feed. You can skip to the end and leave a response. Pinging is currently not allowed. *chuckle* I won’t be surprised if it’s Cusk. Everywhere I look I seem to hear about Cusk, and yet no one whose reviews I read is very excited about her writing. So if the laws of perversity run true, she’ll get the prize! Thanks for all your support, Lisa! Thanks to you all for running the Shadow Giller again this year – it has been great reading all of your reviews. I think your choice is inspired and inspiring. Its never easy to be a juror, I’m sure, but this years early result showed how difficult it was for you to choose between your top 2. Well done Shadow Giller Jurists. You guys sure know how to pick a winner!!! Well done, Shadow Giller. Well done. I’ve struggled with Cusk’s writing several times. Nice to be vindicated!